Contact Mercedes-Benz of Boerne today for information on dozens of vehicles like this 2016 Mercedes-Benz C-Class C 300 Luxury. When you purchase a vehicle with the CARFAX Buyback Guarantee, you're getting what you paid for. Stylish and fuel efficient. It's the perfect vehicle for keeping your fuel costs down and your driving enjoying up. Low, low mileage coupled with an exacting maintenance program make this vehicle a rare find.Contact Mercedes-Benz of Boerne today for information on dozens of vehicles like this 2016 Mercedes-Benz C-Class C 300 Luxury. When you purchase a vehicle with the CARFAX Buyback Guarantee, you're getting what you paid for. Stylish and fuel efficient. It's the perfect vehicle for keeping your fuel costs down and your driving enjoying up. Low, low mileage coupled with an exacting maintenance program make this vehicle a rare find. Looking for a clean, well-cared for 2016 Mercedes-Benz GLA? This is it. Your buying risks are reduced thanks to a CARFAX BuyBack Guarantee. Off-road or on the street, this Mercedes-Benz GLA GLA 250 handles with ease. The less money you spend at the pump, the more money you'll have to spend on you. So why not consider this wonderfully styled, fuel-efficient Mercedes-Benz GLA. With less than 14,812mi on this Mercedes-Benz GLA, you'll appreciate the practically showroom newness of this vehicle.Looking for a clean, well-cared for 2016 Mercedes-Benz GLA? This is it. Your buying risks are reduced thanks to a CARFAX BuyBack Guarantee. Off-road or on the street, this Mercedes-Benz GLA GLA 250 handles with ease. The less money you spend at the pump, the more money you'll have to spend on you. So why not consider this wonderfully styled, fuel-efficient Mercedes-Benz GLA. With less than 14,812mi on this Mercedes-Benz GLA, you'll appreciate the practically showroom newness of this vehicle. Mercedes-Benz of Boerne has a wide selection of exceptional pre-owned vehicles to choose from, including this 2016 Mercedes-Benz C-Class. Your buying risks are reduced thanks to a CARFAX BuyBack Guarantee. Everyone hates the gas pump. Skip a few gas stations with this super fuel efficient Mercedes-BenzC-Class. This low mileage Mercedes-Benz C-Class has barely been touched. It's the next best thing to buying new.Mercedes-Benz of Boerne has a wide selection of exceptional pre-owned vehicles to choose from, including this 2016 Mercedes-Benz C-Class. Your buying risks are reduced thanks to a CARFAX BuyBack Guarantee. Everyone hates the gas pump. Skip a few gas stations with this super fuel efficient Mercedes-BenzC-Class. This low mileage Mercedes-Benz C-Class has barely been touched. It's the next best thing to buying new. Looking for a clean, well-cared for 2016 Mercedes-Benz C-Class? This is it. This vehicle is loaded with great features, plus it comes with the CARFAX BuyBack Guarantee. The greater your fuel-efficiency, the less your carbon footprint. And with exceptional MPGs, this Mercedes-Benz C-Class treads ever so lightly on Mother Earth. A Mercedes-Benz with as few miles as this one is a rare find. This C-Class C 300 Luxury was gently driven and it shows.Looking for a clean, well-cared for 2016 Mercedes-Benz C-Class? This is it. This vehicle is loaded with great features, plus it comes with the CARFAX BuyBack Guarantee. The greater your fuel-efficiency, the less your carbon footprint. And with exceptional MPGs, this Mercedes-Benz C-Class treads ever so lightly on Mother Earth. A Mercedes-Benz with as few miles as this one is a rare find. This C-Class C 300 Luxury was gently driven and it shows. Mercedes-Benz of Boerne is pleased to be currently offering this 2016 Mercedes-Benz GLA GLA 250 with 13,929mi. This vehicle is loaded with great features, plus it comes with the CARFAX BuyBack Guarantee. On almost any road condition, this Mercedes-Benz GLA GLA 250 offers solid performance, reliability, and comfort. You could spend more on fuel each month than on your vehicle payments, so why not consider one with exceptional fuel economy like this 2016 Mercedes-Benz GLA. Take home this 2016 Mercedes-Benz GLA and enjoy the safety and added performance of AWD. The GLA GLA 250 has been lightly driven and there is little to no wear and tear on this vehicle. The care taken on this gently used vehicle is reflective of the 13,929mi put on this Mercedes-Benz.Mercedes-Benz of Boerne is pleased to be currently offering this 2016 Mercedes-Benz GLA GLA 250 with 13,929mi. This vehicle is loaded with great features, plus it comes with the CARFAX BuyBack Guarantee. On almost any road condition, this Mercedes-Benz GLA GLA 250 offers solid performance, reliability, and comfort. You could spend more on fuel each month than on your vehicle payments, so why not consider one with exceptional fuel economy like this 2016 Mercedes-Benz GLA. Take home this 2016 Mercedes-Benz GLA and enjoy the safety and added performance of AWD. The GLA GLA 250 has been lightly driven and there is little to no wear and tear on this vehicle. The care taken on this gently used vehicle is reflective of the 13,929mi put on this Mercedes-Benz. Contact Mercedes-Benz of Boerne today for information on dozens of vehicles like this 2015 Mercedes-Benz E-Class E 350 Luxury. Drive home in your new pre-owned vehicle with the knowledge you're fully backed by the CARFAX Buyback Guarantee. Indulge yourself with one of the most highly crafted, most luxurious automobiles available today. In addition to being well-cared for, this Mercedes-Benz E-Class has very low mileage making it a rare find.Contact Mercedes-Benz of Boerne today for information on dozens of vehicles like this 2015 Mercedes-Benz E-Class E 350 Luxury. Drive home in your new pre-owned vehicle with the knowledge you're fully backed by the CARFAX Buyback Guarantee. Indulge yourself with one of the most highly crafted, most luxurious automobiles available today. In addition to being well-cared for, this Mercedes-Benz E-Class has very low mileage making it a rare find. Check out this gently-used 2015 Mercedes-Benz M-Class we recently got in. When you purchase a vehicle with the CARFAX Buyback Guarantee, you're getting what you paid for. This Mercedes-Benz M-Class ML 350 has a tough exterior complemented by a well-designed interior that offers all the comforts you crave. Today's luxury vehicle is not just about opulence. It's about a perfect balance of performance, comfort and attention to detail. This 2015 Mercedes-Benz M-Class is the perfect example of the modern luxury. In addition to being well-cared for, this Mercedes-Benz M-Class has very low mileage making it a rare find.Check out this gently-used 2015 Mercedes-Benz M-Class we recently got in. When you purchase a vehicle with the CARFAX Buyback Guarantee, you're getting what you paid for. This Mercedes-Benz M-Class ML 350 has a tough exterior complemented by a well-designed interior that offers all the comforts you crave. Today's luxury vehicle is not just about opulence. It's about a perfect balance of performance, comfort and attention to detail. This 2015 Mercedes-Benz M-Class is the perfect example of the modern luxury. In addition to being well-cared for, this Mercedes-Benz M-Class has very low mileage making it a rare find. Mercedes-Benz of Boerne is honored to present a wonderful example of pure vehicle design... this 2016 Mercedes-Benz GLC GLC 300 only has 45,000mi on it and could potentially be the vehicle of your dreams! This vehicle is loaded with great features, plus it comes with the CARFAX BuyBack Guarantee. Gone are the days of SUVs being the size of a tank and handling like one. This Mercedes-Benz GLC is a perfect example of how SUVs have evolved into vehicles that are as refined as they are rugged. Low, low mileage coupled with an exacting maintenance program make this vehicle a rare find.Mercedes-Benz of Boerne is honored to present a wonderful example of pure vehicle design... this 2016 Mercedes-Benz GLC GLC 300 only has 45,000mi on it and could potentially be the vehicle of your dreams! This vehicle is loaded with great features, plus it comes with the CARFAX BuyBack Guarantee. Gone are the days of SUVs being the size of a tank and handling like one. This Mercedes-Benz GLC is a perfect example of how SUVs have evolved into vehicles that are as refined as they are rugged. Low, low mileage coupled with an exacting maintenance program make this vehicle a rare find. Mercedes-Benz of Boerne has a wide selection of exceptional pre-owned vehicles to choose from, including this 2016 Mercedes-Benz E-Class. This vehicle is loaded with great features, plus it comes with the CARFAX BuyBack Guarantee. Excellence, luxury and stature are just a few of the pillars this car is built upon. This 2016 Mercedes-Benz E-Class has such low mileage it has been parked more than driven.Mercedes-Benz of Boerne has a wide selection of exceptional pre-owned vehicles to choose from, including this 2016 Mercedes-Benz E-Class. This vehicle is loaded with great features, plus it comes with the CARFAX BuyBack Guarantee. Excellence, luxury and stature are just a few of the pillars this car is built upon. This 2016 Mercedes-Benz E-Class has such low mileage it has been parked more than driven. Mercedes-Benz of Boerne has a wide selection of exceptional pre-owned vehicles to choose from, including this 2017 Mercedes-Benz C-Class. How to protect your purchase? CARFAX BuyBack Guarantee got you covered. The less money you spend at the pump, the more money you'll have to spend on you. So why not consider this wonderfully styled, fuel-efficient Mercedes-Benz C-Class. The C-Class C 300 is well maintained and has just 20,357mi. This low amount of miles makes this vehicle incomparable to the competition. Based on the superb condition of this vehicle, along with the options and color, this Mercedes-Benz C-Class C 300 is sure to sell fast.Mercedes-Benz of Boerne has a wide selection of exceptional pre-owned vehicles to choose from, including this 2017 Mercedes-Benz C-Class. How to protect your purchase? CARFAX BuyBack Guarantee got you covered. The less money you spend at the pump, the more money you'll have to spend on you. So why not consider this wonderfully styled, fuel-efficient Mercedes-Benz C-Class. The C-Class C 300 is well maintained and has just 20,357mi. This low amount of miles makes this vehicle incomparable to the competition. Based on the superb condition of this vehicle, along with the options and color, this Mercedes-Benz C-Class C 300 is sure to sell fast. This outstanding example of a 2015 Mercedes-Benz M-Class ML 350 is offered by Mercedes-Benz of Boerne. This vehicle is loaded with great features, plus it comes with the CARFAX BuyBack Guarantee. This versatile SUV is perfect for families or contractors with its oversized cargo area, exceptional horsepower and option upgrades. Quality and prestige abound with this Mercedes-Benz M-Class. All-wheel drive means peace of mind all the time. This Steel Gray Metallic AWD Mercedes-Benz enjoys a host offeatures, including exceptional acceleration and superior stability so you can drive with confidence. Exceptional in every sense of the word, this incredibly low mileage vehicle is one of a kind.This outstanding example of a 2015 Mercedes-Benz M-Class ML 350 is offered by Mercedes-Benz of Boerne. This vehicle is loaded with great features, plus it comes with the CARFAX BuyBack Guarantee. This versatile SUV is perfect for families or contractors with its oversized cargo area, exceptional horsepower and option upgrades. Quality and prestige abound with this Mercedes-Benz M-Class. All-wheel drive means peace of mind all the time. This Steel Gray Metallic AWD Mercedes-Benz enjoys a host offeatures, including exceptional acceleration and superior stability so you can drive with confidence. Exceptional in every sense of the word, this incredibly low mileage vehicle is one of a kind. Thank you for your interest in one of Mercedes-Benz of Boerne's online offerings. Please continue for more information regarding this 2019 Mercedes-Benz CLA CLA 250 with 3,336mi. The Mercedes-Benz CLA CLA 250 will provide you with everything you have always wanted in a car -- Quality, Reliability, and Character. There is no reason why you shouldn't buy this Mercedes-Benz CLA CLA 250. It is incomparable for the price and quality. A truly breathtaking example of pure vehicle design achievement...this is the vehicle of your dreams! Just what you've been looking for. With quality in mind, this vehicle is the perfect addition to take home.Thank you for your interest in one of Mercedes-Benz of Boerne's online offerings. Please continue for more information regarding this 2019 Mercedes-Benz CLA CLA 250 with 3,336mi. The Mercedes-Benz CLA CLA 250 will provide you with everything you have always wanted in a car -- Quality, Reliability, and Character. There is no reason why you shouldn't buy this Mercedes-Benz CLA CLA 250. It is incomparable for the price and quality. A truly breathtaking example of pure vehicle design achievement...this is the vehicle of your dreams! Just what you've been looking for. With quality in mind, this vehicle is the perfect addition to take home. Mercedes-Benz of Boerne has a wide selection of exceptional pre-owned vehicles to choose from, including this 2018 Mercedes-Benz C-Class. For those who are ready to drive something more than just a car, this Mercedes-Benz C-Class C 300 will appeal to their idea of luxury and refinement. The 2018 Mercedes-Benz exterior is finished in a breathtaking Polar White, while being complemented by such a gorgeous Silk Beige/Black interior. This color combination is stunning and absolutely beautiful! A truly breathtaking example of pure vehicle design achievement...this is the vehicle of your dreams! Just what you've been looking for. With quality in mind, this vehicle is the perfect addition to take home.Mercedes-Benz of Boerne has a wide selection of exceptional pre-owned vehicles to choose from, including this 2018 Mercedes-Benz C-Class. For those who are ready to drive something more than just a car, this Mercedes-Benz C-Class C 300 will appeal to their idea of luxury and refinement. The 2018 Mercedes-Benz exterior is finished in a breathtaking Polar White, while being complemented by such a gorgeous Silk Beige/Black interior. This color combination is stunning and absolutely beautiful! A truly breathtaking example of pure vehicle design achievement...this is the vehicle of your dreams! Just what you've been looking for. With quality in mind, this vehicle is the perfect addition to take home. You can find this 2018 Mercedes-Benz C-Class C 300 and many others like it at Mercedes-Benz of Boerne. Today's luxury vehicle is not just about opulence. It's about a perfect balance of performance, comfort and attention to detail. This 2018 Mercedes-Benz C-Class is the perfect example of the modern luxury. Based on the superb condition of this vehicle, along with the options and color, this Mercedes-Benz C-Class C 300 is sure to sell fast. There is no reason why you shouldn't buy this Mercedes-Benz C-Class C 300. It is incomparable for the price and quality. The 2018 Mercedes-Benz exterior is finished in a breathtaking Black, while being complemented by such a gorgeous Black interior. This color combination is stunning and absolutely beautiful!You can find this 2018 Mercedes-Benz C-Class C 300 and many others like it at Mercedes-Benz of Boerne. Today's luxury vehicle is not just about opulence. It's about a perfect balance of performance, comfort and attention to detail. This 2018 Mercedes-Benz C-Class is the perfect example of the modern luxury. Based on the superb condition of this vehicle, along with the options and color, this Mercedes-Benz C-Class C 300 is sure to sell fast. There is no reason why you shouldn't buy this Mercedes-Benz C-Class C 300. It is incomparable for the price and quality. The 2018 Mercedes-Benz exterior is finished in a breathtaking Black, while being complemented by such a gorgeous Black interior. This color combination is stunning and absolutely beautiful! This 2016 Mercedes-Benz E-Class E 350 Luxury is proudly offered by Mercedes-Benz of Boerne Drive home in your new pre-owned vehicle with the knowledge you're fully backed by the CARFAX Buyback Guarantee. Opulent refinements married with exceptional engineering make this the kind of car you'll want to own for a lifetime. Beautiful color combination with Black exterior over Black interior making this the one to own! There is no reason why you shouldn't buy this Mercedes-Benz E-Class E 350 Luxury. It is incomparable for the price and quality.This 2016 Mercedes-Benz E-Class E 350 Luxury is proudly offered by Mercedes-Benz of Boerne Drive home in your new pre-owned vehicle with the knowledge you're fully backed by the CARFAX Buyback Guarantee. Opulent refinements married with exceptional engineering make this the kind of car you'll want to own for a lifetime. Beautiful color combination with Black exterior over Black interior making this the one to own! There is no reason why you shouldn't buy this Mercedes-Benz E-Class E 350 Luxury. It is incomparable for the price and quality. 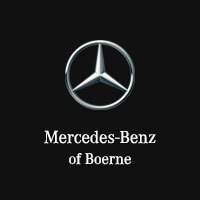 Thank you for visiting another one of Mercedes-Benz of Boerne's online listings! Please continue for more information on this 2018 Mercedes-Benz C-Class C 300 with 7,973mi. There's a level of quality and refinement in this Mercedes-Benz C-Class that you won't find in your average vehicle. A truly breathtaking example of pure vehicle design achievement...this is the vehicle of your dreams! You've found the one you've been looking for. Your dream car. Based on the superb condition of this vehicle, along with the options and color, this Mercedes-Benz C-Class C 300 is sure to sell fast.Thank you for visiting another one of Mercedes-Benz of Boerne's online listings! Please continue for more information on this 2018 Mercedes-Benz C-Class C 300 with 7,973mi. There's a level of quality and refinement in this Mercedes-Benz C-Class that you won't find in your average vehicle. A truly breathtaking example of pure vehicle design achievement...this is the vehicle of your dreams! You've found the one you've been looking for. Your dream car. Based on the superb condition of this vehicle, along with the options and color, this Mercedes-Benz C-Class C 300 is sure to sell fast. Mercedes-Benz of Boerne is pleased to be currently offering this 2018 Mercedes-Benz C-Class C 300 with 6,987mi. With amenities and luxuries befitting a modern day king, this splendorous coach reigns supreme. Based on the superb condition of this vehicle, along with the options and color, this Mercedes-Benz C-Class C 300 is sure to sell fast. The look is unmistakably Mercedes-Benz, the smooth contours and cutting-edge technology of this Mercedes-Benz C-Class C 300 will definitely turn heads. Beautiful color combination with Black exterior over Black interior making this the one to own!Mercedes-Benz of Boerne is pleased to be currently offering this 2018 Mercedes-Benz C-Class C 300 with 6,987mi. With amenities and luxuries befitting a modern day king, this splendorous coach reigns supreme. Based on the superb condition of this vehicle, along with the options and color, this Mercedes-Benz C-Class C 300 is sure to sell fast. The look is unmistakably Mercedes-Benz, the smooth contours and cutting-edge technology of this Mercedes-Benz C-Class C 300 will definitely turn heads. Beautiful color combination with Black exterior over Black interior making this the one to own! Contact Mercedes-Benz of Boerne today for information on dozens of vehicles like this 2018 Mercedes-Benz C-Class C 300. Today's luxury vehicle is not just about opulence. It's about a perfect balance of performance, comfort and attention to detail. This 2018 Mercedes-Benz C-Class is the perfect example of the modern luxury. Driven by many, but adored by more, the Mercedes-Benz C-Class C 300 is a perfect addition to any home. Beautiful color combination with Polar White exterior over Silk Beige/Black interior making this the one to own! The Mercedes-Benz C-Class C 300 will provide you with everything you have always wanted in a car -- Quality, Reliability, and Character.Contact Mercedes-Benz of Boerne today for information on dozens of vehicles like this 2018 Mercedes-Benz C-Class C 300. Today's luxury vehicle is not just about opulence. It's about a perfect balance of performance, comfort and attention to detail. This 2018 Mercedes-Benz C-Class is the perfect example of the modern luxury. Driven by many, but adored by more, the Mercedes-Benz C-Class C 300 is a perfect addition to any home. Beautiful color combination with Polar White exterior over Silk Beige/Black interior making this the one to own! The Mercedes-Benz C-Class C 300 will provide you with everything you have always wanted in a car -- Quality, Reliability, and Character. Check out this gently-used 2018 Mercedes-Benz C-Class we recently got in. Indulge yourself with one of the most highly crafted, most luxurious automobiles available today. There is no reason why you shouldn't buy this Mercedes-Benz C-Class C 300. It is incomparable for the price and quality. Based on the superb condition of this vehicle, along with the options and color, this Mercedes-Benz C-Class C 300 is sure to sell fast. The Mercedes-Benz C-Class C 300 will provide you with everything you have always wanted in a car -- Quality, Reliability, and Character.Check out this gently-used 2018 Mercedes-Benz C-Class we recently got in. Indulge yourself with one of the most highly crafted, most luxurious automobiles available today. There is no reason why you shouldn't buy this Mercedes-Benz C-Class C 300. It is incomparable for the price and quality. Based on the superb condition of this vehicle, along with the options and color, this Mercedes-Benz C-Class C 300 is sure to sell fast. The Mercedes-Benz C-Class C 300 will provide you with everything you have always wanted in a car -- Quality, Reliability, and Character.